Many liberals are rejoicing in the indictment of Texas Governor Rick Perry for threatening (and then carrying out) a veto against continued funding of the "public integrity" division of Travis County District Attorney Rosemary Lehmberg after her embarrassing driving while intoxicated arrest in which she was found to have a blood alcohol level of nearly three times the legal limit and was videotaped being extremely abusive to law enforcement officials while being booked. The video (actually there are three, links for which can be found here) speaks for itself. Governor Perry thought DA Lehmberg was an embarrassment, had lost the confidence of the people., and should resign. When the budget bill came before him, he did a line item veto of funding for the "public integrity" activities of Lehmberg's office when Lehmberg refused to resign. For exercising his constitutional prerogative to veto funding for Lehmberg's office, a Travis County special prosecutor unbelievably brought two felony charges against Governor Perry to a grand jury who indicted him this week. “Unless he was demonstrably trying to scrap the ethics unit for other than his stated reason, Perry indictment seems pretty sketchy." Have to say Perry indictment seems nuts. Gov has constitutional power to veto. Gov uses power. Grand jury indicts [because] they don't like reason?" Prince asked. "Hard for me to imagine these Rick Perry charges sticking," Yglesias wrote, adding, "Does anyone think this Perry indictment makes sense?" Left-wing blogger Jonathan Chait also blasted the indictment in an column entitled "This Indictment Of Rick Perry Is Unbelievably Ridiculous." Even the liberal leaning news outlet, ThinkProgress, which has long been a critic of Governor Perry, issued an editorial raising doubts about the validity of the Perry indictment. The indictment also outraged former Harvard law professor Alan Dershowitz, who nobody would accuse of being a conservative or a Republican. ...Dershowitz calls himself a "liberal Democrat who would never vote for Rick Perry," but he's still "outraged" over the Texas governor's indictment Friday on charges of abuse of power and coercion. The charges are politically motivated and an example of a "dangerous" trend of courts being used to affect the ballot box and politics, he told Newsmax on Saturday. "Everybody, liberal or conservative, should stand against this indictment," Dershowitz said. "If you don't like how Rick Perry uses his office, don't vote for him." "This is another example of the criminalization of party differences," said Dershowitz, a prominent scholar on United States constitutional law and criminal law who writes the "Legally Speaking" column for Newsmax. "This idea of an indictment is an extremely dangerous trend in America, whether directed at [former House Majority Leader] Tom DeLay or [former President] Bill Clinton." Further, Dershowitz said, such indictments are something that's done in totalitarian countries and should not be done in the United States. In such countries, "if you don't like them, you indict," Dershowitz said. "In America, you vote against them...this should be up to the voters. There is no room in America for abuse of office charges, and this has to stop once and for all. This is a serious problem." And indicting a politician, rather than fighting back through a ballot box, "is so un-American." Dershowitz also told Newsmax Perry was well within his rights when he vetoed the money for Lehmberg's office, as he "saw a drunk serving as DA" who "shouldn't be enforcing criminal law. UCLA law professor Eugene Volokh penned an article analyzing the Texas criminal statutes used to indict Governor Perry and concluded that indictment was improper. Prof. Turley, who opined that Gov. 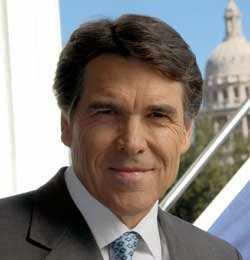 Perry was wrong in threatening a veto of public integrity funding if DA Lehmberg refused to resign, nevertheless did not find a legal basis for turning a political dispute into a criminal matter. Democrats are at risk at overplaying their hand, banking on a ridiculous indictment to smear Governor Perry, who is increasingly looking like a strong presidential candidate in 2016. It's good though to see that some on the left though have the integrity to stand up and say that what is being done to Governor Perry is not supported by any rational interpretation of the law and is simply wrong. Except that the government unit he was cutting off funding to was investigating his own actions and channeling of public funds to his cronies. Even after the veto, he told the Austin DA that the unit could get its funding back if she resigned. I'm surprised you, of all people, are not lauding the actions of the special prosecutor. For all the saber-rattling you do about Ballard and his buddies getting city contracts, you sure do revert to your old Republican ways when push comes to shove as far as rooting out corruption. Here's a hypothetical, Paul: the Governor of Indiana threatens to veto funding of your favorite social program if you don't resign from the Bar. Permissible politics or criminal extortion? Nobody has done a good job of explaining why "liberals" are so ready to defend Rick Perry's attempt to force an elected public official to resign by means of threat. But the answer does occur to me: liberal Political Correctness about DUI. Someone with any libertarian instincts should be almost as appalled by DUI-hysteria as by second-hand-smoke hysteria, both being, in essence, victimless crimes. We can expect conservatives to throw a moralistic tantrum about a DUI; but these days, same for "liberals." But in a _libertarian_, it's disappointing.